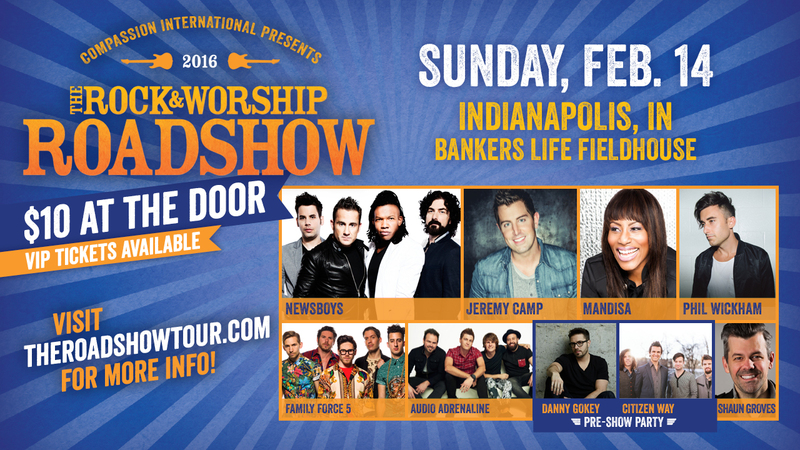 The Rock & Worship Roadshow is coming to Indianapolis on February 14, 2016! Christian music favorites Newsboys, Jeremy Camp, and Mandisa will be performing, along with Phil Wickham, Family Force 5 and Audio Adrenaline. Danny Gokey and Citizen Way will do a Pre-Show Party, and Shaun Groves will be the guest speaker. Come out to Christian music’s most entertaining tour for the whole family!